Peter Bowes is a news correspondent for the BBC, creator and host of Live Long and Master Aging (LLAMA), a weekly podcast which explores the science and stories behind human longevity. A native of County Durham, England, Peter moved to the United States in 1996 and became a US citizen in 2008. Based in Los Angeles he covers news, hosts radio shows and makes documentaries. He is interested in the biology of aging, food, exercise, health span, politics and the environment. He can been seen and heard regularly on BBC television, radio and digital services covering news from around the United States. After studying biology and graduating from Sunderland Polytechnic (now the University of Sunderland) in 1983, Peter worked initially in scientific research, for the Medical Research Council in London. He then switched careers and trained as a broadcast journalist at London's National Broadcasting School. 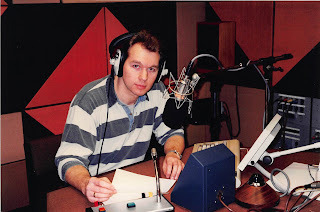 Peter's broadcasting career started in 1984. He worked at numerous UK commercial radio stations, including Radio Tees, Viking Radio, Pennine Radio, Piccadilly Radio and LBC. In the mid-1980s, a turbulent time in the UK, Peter reported on the 12-month coal industry strike. It led to him interviewing leading political and union figures - including the Prime Minister, Margaret Thatcher. He also covered the Cleveland Child Abuse scandal - a story involving the alleged mis-reporting of child abuse by local doctors. After joining the BBC, in 1988, Peter worked on BBC Radio 4's Today Programme, The World at One and PM. He covered the Lockerbie Pan Am bombing and the Hillsborough football disaster. Between 1989 and 1996 Peter was a reporter and news-reader on BBC Radio 1, Britain's leading music radio station. He was part of the on-air team at the Breakfast Show, working alongside DJs such as Steve Wright, Simon Mayo and Mark Goodier. Peter also presented the news on the Simon Bates programme and hosted the lunchtime/evening editions of Newsbeat. He was the first network broadcaster to interview John Major after he succeeded Mrs Thatcher as leader of the British Conservative party and Prime Minister. Peter has produced and presented radio and TV documentaries and special features on a wide range of topics. For the BBC World Service, he visited a unique community of people in California that enjoy particularly long lives. Living Longer in Lovely Hill explores the links between a meat-free diet, exercise and faith. Religion in Silicon Valley looks at the growth of churches, of multiple denominations, in the tech capital of the world. Other documentary subjects include the Oscars, Michael Jackson, California wildfires and the plight of homeless war veterans in Down and Out in the City of Angels. On a trip to cover the first anniversary of Nelson Mandela's release from prison, Peter met and interviewed Archbishop Desmond Tutu, at his home in Soweto. In 2005 Peter moved to Santa Maria in California to cover the trial of Michael Jackson. As well as BBC TV, radio, and digital services, he was a regular contributor to Court TV and CNN Headline News. A member of the British film and television academy, BAFTA, Peter has interviewed many Hollywood celebrities, including Cher, Tom Hanks, Tom Cruise, Nicole Kidman, Meryl Streep, Denzel Washington and Morgan Freeman. He has covered every Oscars ceremony since 1996. In 2011 Peter interviewed the country music legend Glen Campbell, at his home in Malibu. Campbell discussed his final tour and reflected on coping with Alzheimer's disease. In 2016 Peter sat down with Harrison Ford to discuss the veteran actor's role in Star Wars: The Force Awakens. Ford gave a candid assessment of ability to keep on working into old age and talked about his lucky escape from a plane crash in 2015. As well as being a correspondent for the BBC, Peter is a co-owner, with Andy Hollins, of the indie production company, The Radio Organization. Peter is a keen runner, cyclist and swimmer and regularly takes part in triathlons and running events.